An old photo on a box. The family portrait of the three sisters. It was in Paris that the sisters grew up, and they all long to return to the sophistication and happiness of that time. The girl were quite isolated in their small town. Maria is the eldest of the three sisters. She is 28 years old. She married her husband, John, when she was 18 and just out of school. She married for love, but she has been disappointed in the marriage and falls completely in love with the idealistic George. They begin a clandestine affair. When he is transferred away, she is crushed. Her husband leaves. 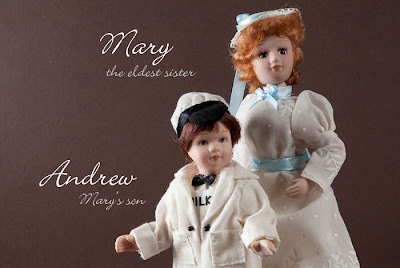 They have one child together, Andrew, who remains in her care. Andrew is 10 years old. He is the only boy in the family and the sisters idolize him. He is a very spoiled boy. 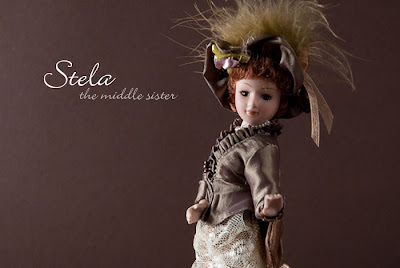 Stela is the middle sister. Her only desire is to go back to Paris, which they left eleven years before their parents died. 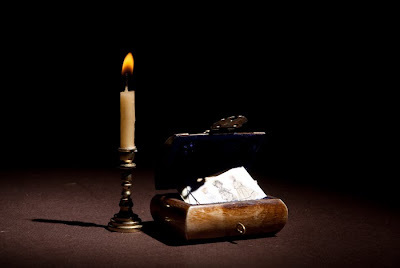 She believes she will find her true love in Paris, but when it becomes clear that they are not going to Paris, she agrees to marry the Baron Mihail, whom she admires but does not love. She gets her teaching degree and plans to leave with the Baron, but he is shot by Victor in a pointless duel. She decides to dedicate her life to art and theatre. Now she is a great actress, thanks to the popularity brought by her marriage with a rich man. She is 24 years old, now. 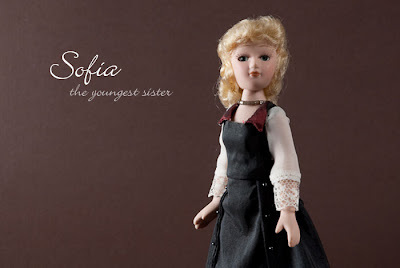 Sofia is the youngest sister. She admires her sister Stela and wants to be like her. She is intelligent, but quiet and the very example of purity. She is known equally for her porcelain skin - despite her love of gardening and the outdoors - and her kind heart. She is innocent and not capable of perceiving the mean, cold world around her. Her beauty soon became known throughout the world, and one young man after another came forth to ask her hand in marriage. But her older sisters, who had experience of failed marriages, said that she is too young. Her sisters are protecting her, maybe, a litlle bit to much. But now is the time. She is 21 years old. This is very clever and your pictures follow the plot perfectly! The dolls convey the attrbutes you describe well. I feel the closest to Stela. Thanks :) Do you think that Charles will love Sofia?